Have you ever tried dry shampoo? I still remember my first encounter was when I was 25 and had the misfortune of going through a major surgery. As the Chinese believe, one should not bath/shower for a whole month after surgery or giving birth to avoid "wind" going in through the pores. I don't fully understand the anatomy of it all, but it is to believe that one heals faster and can avoid some illness at older age. Anyways, while I tried to resist showering for a whole week, my scalp was getting itchy and oily...that's when I decided to give dry shampoo a try! Honestly, other than adding a fragrant scent to my hair, I didn't feel refreshed at all...I was disappointed! So what should one expect from dry shampoo anyways? But reading "Backstage Beauty" articles, I noticed that many hairstylist are prepping the models with dry shampoo to freshen up and add texture before styling. In forms of foam, spray and powder, it promise to extend the life of a blow-dry (at the price of what some master stylist charges, I'd be extending every minute possible). Should I give it another try? 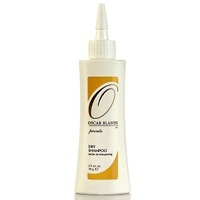 I use Oscar Blandi. It works really well. I usually have to wash my hair every day but this lets me go every other day and adds a lot of volume. My only complaint is that it's a white powder and I have dark brown hair so I have to really rub it in and brush it out. I wish they had a version for dark hair. I've heard great things about Klorane too. Batiste is well priced, and great for people with fine hair - the rice starch absorbs the grease and adds body. "Original", "Blush" and "Tropical" are available at Shoppers Drug Mart / Pharma Prix. Find other stores in Canada that carry it here: www.farleyco.ca/Batiste-Dry-Shampoo/Products.html (there's also Batiste for Dark Hair). Hope that's helpful!